As stated in the rules we do not answer all questions, but will delete duplicate questions from the same person, e-mails we think are homework questions, and e-mails that don't contain a question. 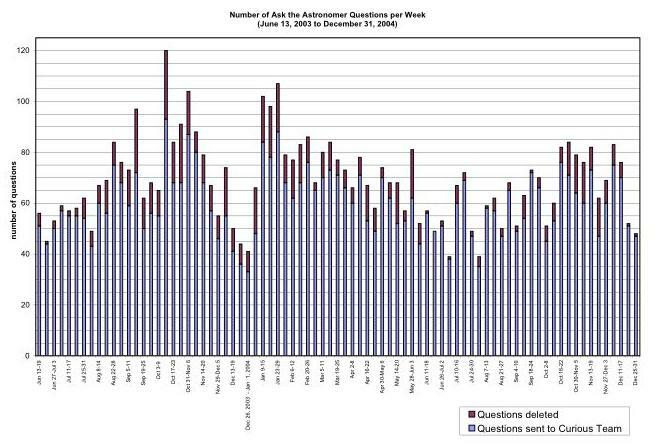 The following graph shows the weekly number of questions submitted to the Ask the Astronomer site over a one year time span. A list containing statistics over a longer time period is available for download at qstats.txt.